The people of Seoul will be invited to take part in a musical performance in honor of freedom fighter Yu Gwan-sun to be held on March 2, in commemoration of the 100th anniversary of the March 1 Independence Movement and the establishment of the Provisional Government of the Republic of Korea. Sejong Center for the Performing Arts and the Seoul Metropolitan Chorus will jointly hold “Yu Gwan-sun Opera Cantata.” The performance tells the life story of the emblematic female activist of the March 1st Movement of 1919. Yu, 16 years old at the time, was a student leader and among the most symbolic figures of the independence movement, handing out flyers and flags. She was imprisoned for her participation and subjected to torture, dying the following year. For the performance, the organizers are recruiting a citizens’ choir. Selected through an audition process, the chorus members will be featured in the performance as participants in the independence movement with Yu. 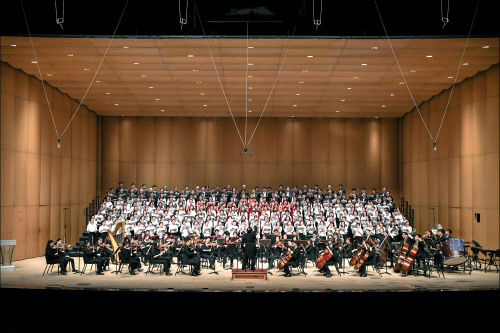 The opera will be held at the grand theater at the Sejong Center for the Performing Arts in Gwanghwamun, central Seoul. Citizens of Seoul who are 19 years or older and have choir experience can apply through the art center’s website. Those selected will take the stage after about five weeks of practice.